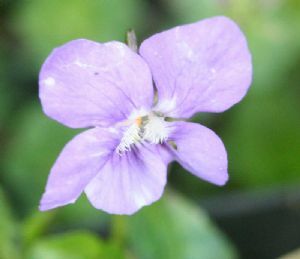 Viola riviniana In spring this plant has pointed leaves and pretty violet flowers without a scent. It is the larval foodplant of many of our rare Fritillary butterflies. Left to its own devices, it will soon make a carpet of flowers under light woodland or bracken.